For over 30 years, Water Cannon’s commitment is to serve our clients. Water Cannon has been a leading online discounter of aftermarket replacement small engine parts that fit Honda GX Series including our competitively priced cylinder head assembly. Cylinder head assembly includes complete cylinder head, clip guide, intake/exhaust, valve steam seal, valve spring and seal, push rod guide plate, pivot bolt, valve rocker arm, pivot and adjusting nut as shown. 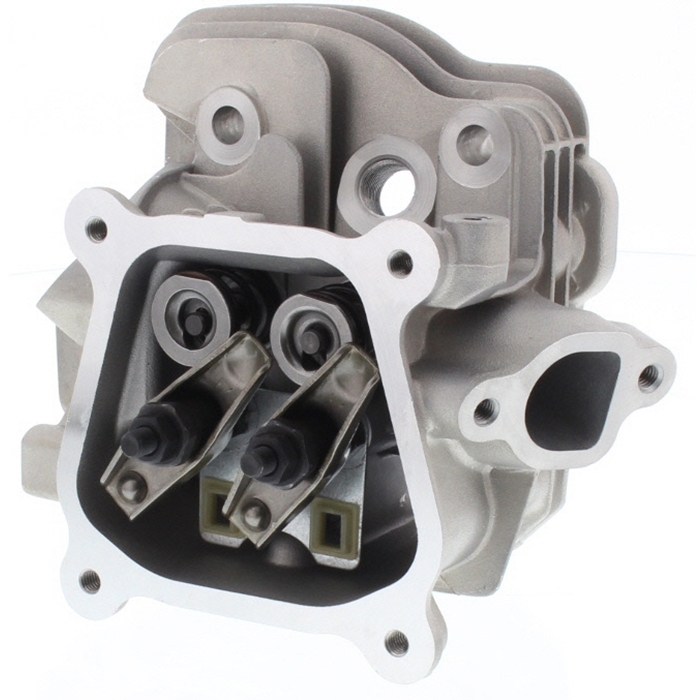 This rugged premium cylinder head assembly is specifically designed to fit all GX200 Honda Engines. Save 20% when you buy 6 of the same sku number and enjoy free shipping on orders over $35. Water Cannon supplies high quality aftermarket cylinder head assembly for Honda GX Engines.